We as a nation will celebrate 70 years of independence in a few days’ time. It was Peter Drucker who said that there are no good or bad institutions but well-managed or ill-managed institutions. I believe that it is equally applicable to countries. 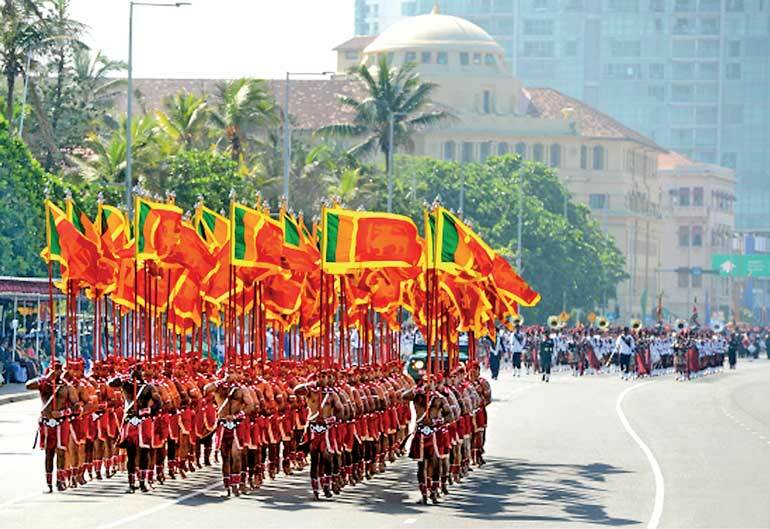 Has Sri Lanka been a “well-managed” country during the past 70 years? It prompts another question - are we really independent in a truly holistic sense? I think it is an opportune time to reflect on this in relation to relevant managerial thoughts. The topic reminds me of a beautiful composition of the great Bengali poet Rabindranath Tagore (1861-1941) titled ‘Let my country awake’. I believe the relevance of the above to Sri Lanka is immense. As a learner of management, let me use a familiar lens to look at Sri Lanka. It is what is commonly known as PESTEEL, representing political, economic, social, technological, environmental, ethical and legal factors. It is worthwhile to see how “independent” Sri Lanka is in the context of each of the above factors. In essence, it is a search to see the degree to which Tagore’s “heaven of freedom” is present in multiple dimensions. We regained our independence from the British in 1948. Has it been a real transformation of power to locals or a mere replacement of British rule with Sri Lankans under Dominion status? Did we have ‘statesmen’ as opposed to politicians with a strategic vision as to where the country should be directed to? Did we align our actions with a set of strategic priorities such as agriculture and industry growth? There are more questions than answers. Having become a republic in 1972 and moving beyond to have an executive presidency under a new constitution, Sri Lanka moved ahead but certainly with a multitude of teething challenges. Did we see the continuation of pragmatic decisions of a previous regime by an incoming regime or the opposite? When Singapore wanted to be like Sri Lanka, and when they surpassed us in style, we were crawling with the bleeding wounds of political blunders. Where were the planning, organising, leading and controlling? The harsh reality emerges. The end of terrorism in establishing civil rule across the country heralded a new era of opportunities for much-needed national reconciliation. The absence of war versus the presence of lasting peace are paradoxically different in a Sri Lankan context. We are yet to reach a consensus on the way to rule the country with the best possible governance structure. The way Nelson Mandela created a “rainbow nation” with South Africa’s black, white and brown communities living in harmony is a guiding example for us. The most recent example involving tea exports to and asbestos imports from Russia shows clearly that we are not economically independent. One may argue that whether any country in the contemporary world can really be economically independent. The issue is more to do with fair or unfair economic practices. The ongoing deliberations at the World Economic Forum taking place in Davos where world leaders are at loggerheads is a vital sign of the acute need for “inter-dependence”. The much publicised bond scam and associated wrongdoings highlight the need to have better financial discipline. It also exposes the ugly head of corruption which has been a regular phenomenon in the administrative system of the country. As we sadly saw with the Meethotamulla mayhem, mismanagement overpowered management on many fronts. The current liquor debate involving “bars and bras” (as a reputed Editorial identified it) is just the tip of the iceberg of unresolved social issues. Ethnic and religious tensions also have added fuel to the fire where social harmony is concerned. In essence, we see the need for a holistic approach towards national prosperity with the right decisions and actions. “Interdependence is and ought to be as much the ideal of man as self-sufficiency. Man is a social being. Without inter-relation with society he cannot realise his oneness with the universe or suppress his egotism. His social interdependence enables him to test his faith and to prove himself on the touchstone of reality.” That’s how Mahatma Gandhi viewed interdependence. Synergy we see in nature is associated with the complex term symbiosis. It is close and often long-term interaction between two or more different biological species. In other words, a close prolonged association between two or more different organisms of different species that may benefit each member. Way back in 1877, Albert Bernhard Frank used the word symbiosis to describe the mutualistic relationship in lichens. It is also described as the living together of two dissimilar organisms, as in mutualism, commensalism or parasitism. The term “symbiotic relationship” is often used in the area of sociology. The word symbiosis has first been used to describe people living together in a community. It is, in fact, a true adaptation from the biological meaning of “living together of unlike organisms”. It is worthy to mention the most vital need of leadership at multiple fronts in taking the country forward. Leaders by default should be performers. They should practice what they preach. They should inspire, influence and instruct in such a manner so as to initiate result-oriented action. In contrast, laggards are passengers. They hamper the progress by being lazy and lethargic. Indecisiveness resulting in inaction is often common in their approach. Do we see more leaders or laggards? The answer lies in the results they achieve. Let me focus more on business managers and public administrators leaving politicians aside. It is better to light a candle than curse the darkness. Living with leaders and laggards leaves us with a fewer number of choices for achievement. Leaders have to be far more effective to overcome the ineffectiveness of laggards. My preferred choice is to become a servant leader, in engaging laggards or even transforming them. The nation needs more servant leaders who see their role as an obligation to serve others. They should also possess the required competence and confidence. This offers fresh insights about our traditional leadership hierarchy. Instead of looking up to see how your boss is doing, you should look in front to see whether your customers are delighted or not. On one hand, the Sri Lankan corporate sector needs such interdependence more than at any other time in converting the rapid economic growth into a more holistic, transparent and inclusive one in being more ethical and effective. That is how it should be playing the role of “engine of growth”. On the other hand, the public sector as the “driver” of that engine should be playing the role of a facilitator. Here is another vital need for inter-dependence involving the public and private sectors. As Aristotle said a long time ago, “We are what we repeatedly do. Excellence, then, is not an act, but a habit.” This applies to interdependence very much. It all should begin with the right positive attitude towards prosperity. The much awaited vision for Sri Lanka, published by the Government, which aims to make Sri Lanka “an enriched country” by 2025, can only be possible with proper management on all fronts. There is no better time to reflect on interdependence than now when we celebrate 70 years of independence.